The company who employed the apprentice who was electrocuted while installing insulation, was reportedly sent seven safety alerts prior to the death. Only weeks before the death, the company was sent a commonwealth ministerial notice reminding installation business to cut all power off in homes while putting insulation in. The first-year apprentice collapsed and died in November 2009 when he was electrocuted while installing fibreglass insulation in the ceiling of a home. 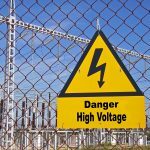 The apprentice had been employed for less than a month prior to his death, and had yet to undergo any formal training that would render him capable and competent in electrical safety. The Court heard that had the power been shut off while Rueuben Barnes began laying insulation, the outcome would have been different. Co-director Chris Jackson of Arrow Property Maintenance claimed to only recall one of the seven notices regarding electrical safety that were emailed to the company. The alerts called for installers to undertake a one day safety training. Jackson alleged that he was computer illiterate and an administrative employee, Denise Watson checked all company email correspondence. “You never saw any of these installer advices?” barrister Geraldine Dann, acting for Barne’s siblings, asked. Mr Jackson added he may have seen one of the notices but believed his company was complying with safety requirements. The inquest will last one week, with an addition three days in May.